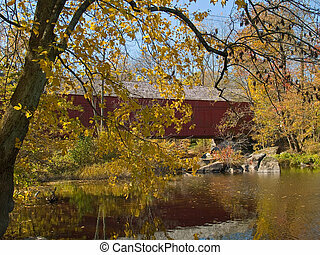 An autumn view of the historic knechts covered bridge in rural bucks county, pennsylvania. 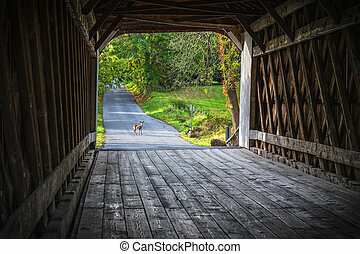 A deer looks into the Van Sandt Covered Bridge in Bucks County Pensylvania. 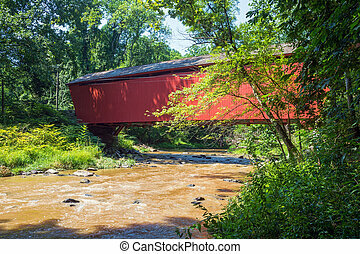 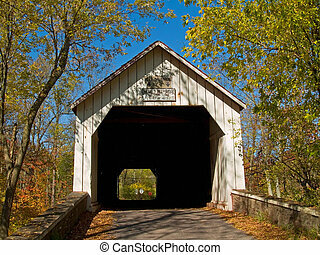 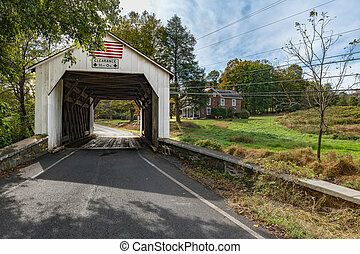 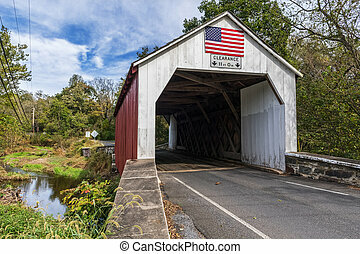 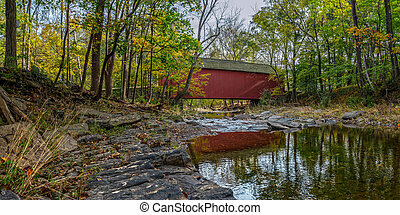 The historic Jericho Covered Bridge crosses Little Gunpowder Falls in Harford County Maryland. 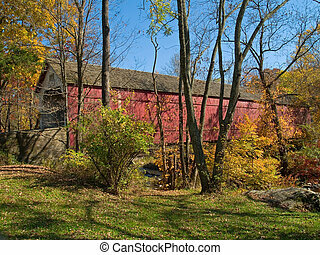 An Autumn view of the historic Sheards Mill Covered Bridge located in Bucks County, Pennsylvania. 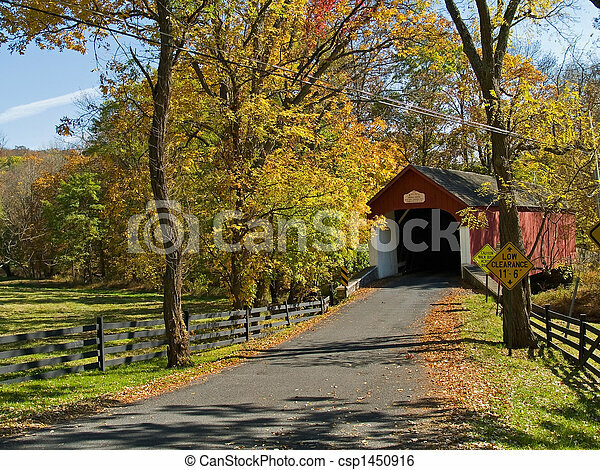 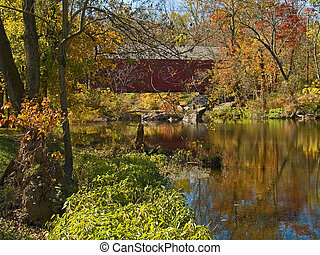 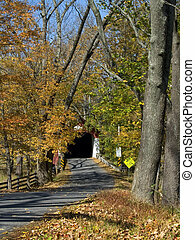 An Autumn view of a country road leading to Knecht\'s Covered Bridge in Bucks County, Pa.
A scenic view of the Erwinna Covered Bridgethat spans Swamp Creek in Bucks County Pennsylvania. 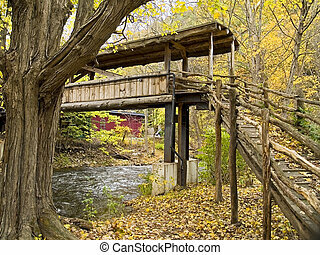 A rustic wooden footbridge in the Pocono Mountains of Pennsylvania. 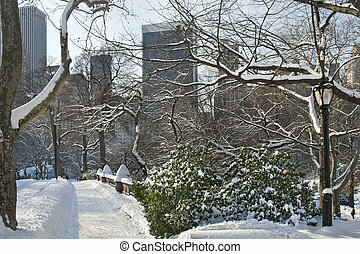 A snow covered overpass after a fresh fallen snow in Central Park in New York City. 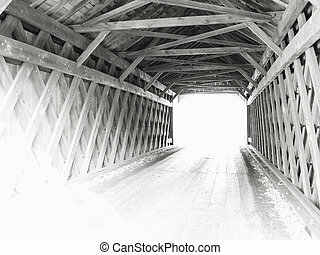 A black and white photograph depicting bright light shining through a wooden covered bridge. 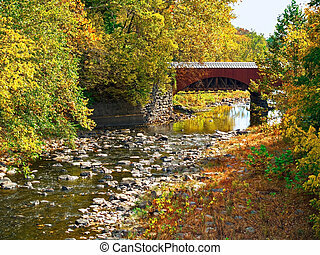 The Tohickon Creek Aqueduct foot bridge in Delaware Canal State Park located in Bucks County Pennsylvania.